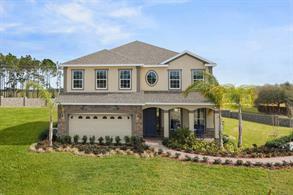 Exceptional value close to Tampa, featuring customizable homes and fantastic amenities with convenient accessibility less than 2 miles from I-75. From I-75 S / Brandon: Take Exit 250 towards Gibsonton, take a right off of the Exit onto Gibsonton Road, turn left onto Eastbay, take a right onto Symmes Road, left onto Ekker Road and the community is the first left after the Clubhouse. 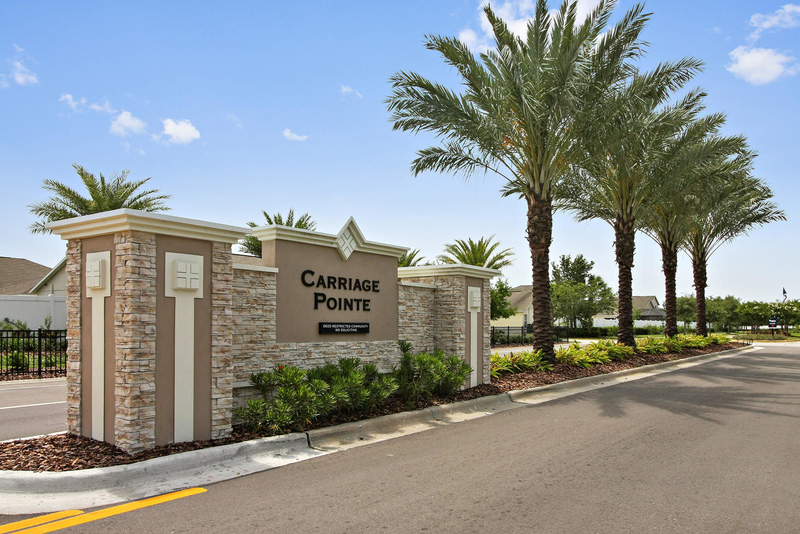 At Carriage Pointe, you'll enjoy an outstanding value on a new single-family home with pricing starting in the upper $190s. Schedule an appointment to earn extra savings! You can select from a number of our most popular floorplans. The homes are designed with open, fluid concepts and lots of natural lighting and feature single story and 2-story living. We’ve made the design process easy with our new Designer Interior Palettes. With 5 available selections to fit every taste and budget, you can rest assured that your professionally designed interior looks amazing. Enjoy the Florida lifestyle, where you can work out in your fully equipped fitness center, then cool down in the refreshing, oversized pool. Challenge your friends to a game of basketball or a tennis match while the kids enjoy the two playgrounds or some time with friends and family in the common area. We offer financing options to fit every need and budget including FHA, Conventional, VA and Down Payment Assistance with 100% financing available to qualified buyers. Saving money for down payment? Let us help you with a payment plan to get you in the home of your dreams sooner than you may have thought possible! We’ll take the time to help you learn how to obtain a mortgage and figure out which financing method works best for you! Contact us today to learn about your buying power!